Version 1.4 AVAILABLE NOW for MacOS 10.10 and above. 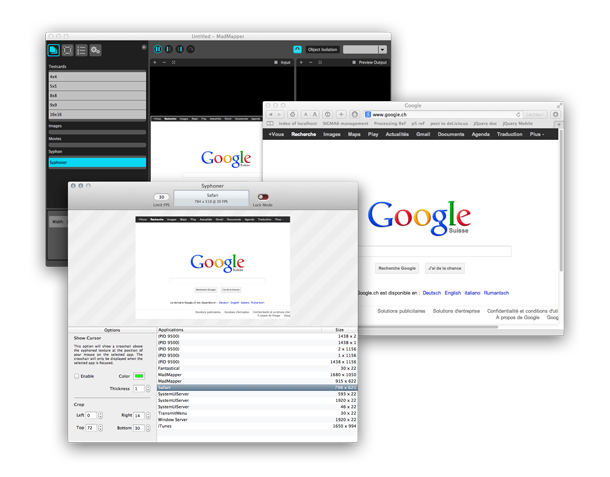 Syphon is an open source Mac OS X technology that allows applications to share frames - full frame rate video or stills - with one another in realtime. (http://syphon.v002.info). Save and open projects are back! The name of the syphoned app is now in the syphon server name. 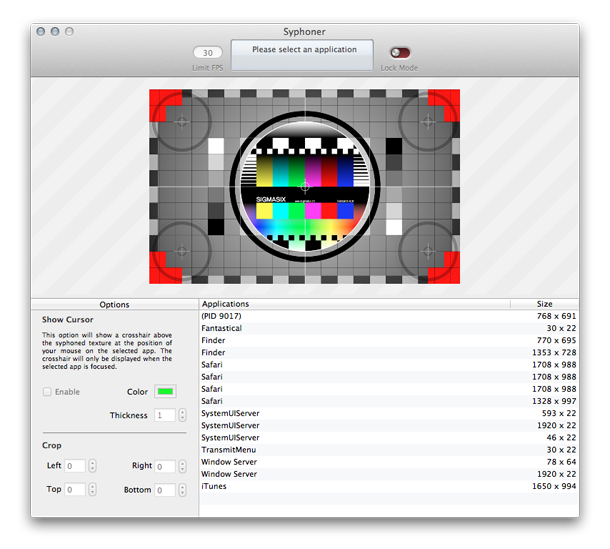 You can duplicate Syphoner to stream different windows at the same time.